LED T8 tubes is a huge market, according to shenzhen, but livni lighting co., LTD., founder and chief technology officer wen-hui Yang, LED T8 replacement lamp market in the United States alone, there are at least 10 years of market development potential, if included in the innovative T8 / T5 LED tubes application market, the market space is very large. 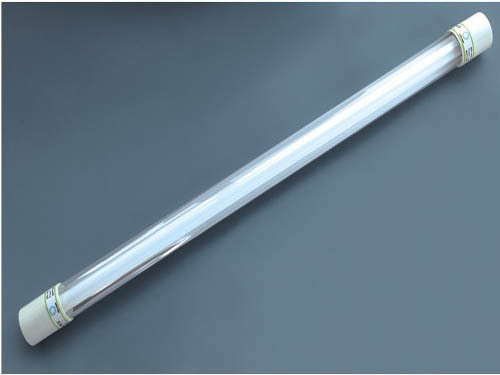 However, at present the mainstream market LED T8 / T5 lamp USES mostly aluminum pipe, glass pipe and ordinary PC plastic pipe, aluminum pipe are easy to leakage, glass tube is fragile, sad UL and CE safety certification, ordinary PC plastic pipe and the insufficient light rate, high temperature and long time work easy case become warped deformation, etc. Now, you can overcome these mainstream all plastic shell scheme defects nano tubes have deep work in shenzhen new energy development and success, its main performance characteristics include: 1) can work under the environment of high temperature 120 degrees for a long time no discoloration, deformation;2) the light rate is above 92%;3) strength, light weight, tube wall is only 0.4 mm, but 2 m height fall no problem;4) using nanoscale particles of light, the light is more uniform, more soft, glare performance better. Deep industry of new energy, managing director of GuiFeng said: "today, strictly speaking, popular glass T8 leds do not handle is very sad UL and CE certification, to certification, can only add a sleeve, but doing so not only increase the cost of 15 points, and the light rate reduction at least two points. New nano all plastic tubes do not have these problems, comprehensive performance beyond, and costs have infinite close to the glass tube when necessary." Comprehensive performance beyond, the cost can be infinitely close to the glass tubes, I really can't think of today's glass T8 / T5 tubes where there is still room for survival, fully replaced by such nano tube must be just a matter of time. Ningbo meiya optoelectronic current chairman wang and wooden Lin Sensun always have expressed strong interest to this product, believe in the near future, you can see in the market and the United States and wood Tomlinson all plastic nano LED T8 / T5 tubes.